CHULA VISTA CALIFORNIA LOW PROPERTY DAMAGE CAR ACCIDENT CASE: Why is my California bodily injury case scrutinized closely by the insurance company when I have low property damage to my vehicle? The main reason this is done is because insurance companies know they have a better chance of winning the argument to a jury that your injuries are not too serious if you have extremely minor damage to your vehicle. Of course, there are narrow exceptions to this; for example, I once represented a Chula Vista lady who had a lumbar surgical fusion just two months prior to her low property damage car accident. I was successfully in arguing that even the tiniest tap to her bumper aggravated her prior medical condition. The point here is to be aware that low property damage can be an issue to your injury claim, but not always. 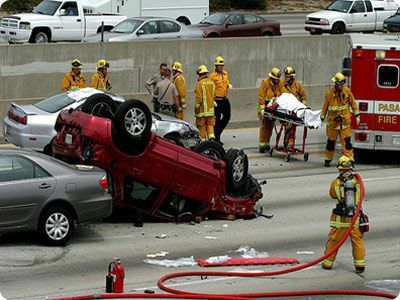 You should consult with an experienced California car accident lawyer if you feel you might have minor property damage. ?CALIFORNIA VEHICLE ACCIDENT "IMPACT FORCES" CAUSING PROPERTY DAMAGE: What is a MIST designated bodily injury claim in regards to a minor impact car accident claim for bodily injuries? ?PROPERTY DAMAGE: How is the actual fair market value of a vehicle determined under California law? ?SAN DIEGO CALIFORNIA PROPERTY DAMAGE CLAIM: I was involved in a San Diego car accident, can you help me with my property damage claim?